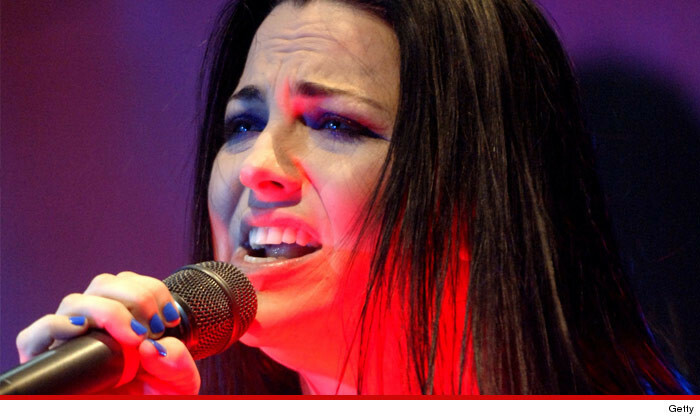 Evanescence founder Amy Lee is waging war with her longtime record label ... claiming the label all but ruined the group and in the process chiseled them out of more than a million bucks ... TMZ has learned. The singer claims Wind-Up Records hatched a plot to sabotage Evanescence by replacing its promoters with a bunch of idiots who ended up torpedoing the group with lame ideas. Lee says to add insult to injury the label has withheld $1.5 million in royalties. Evanescence Guitarist Ben Moody Haunted By Managers ... You Owe Us $500,000!